Elder John Taylor served as a missionary within the United States and abroad, fulfilling several full-time missions between 1839 and 1857. He demonstrated his great faith and testimony while often preaching under trying circumstances, sometimes without money or food. He trusted that the Lord would protect him and his family and provide the means for him to preach the gospel. Elder Taylor gratefully accepted this help and was soon able to resume his journey, having paid all his bills. Regarding this experience, Elder Taylor said, “I would rather put my trust in the Lord than in any of the kings of the earth.”2 With his trust in the Lord and his dedication to teaching the gospel to others, John Taylor is a powerful example of how we should do missionary work. Missionary work brings knowledge of life and immortality to all mankind. We are here for a certain purpose; the world was organized for a certain purpose; … the gospel has been introduced for a certain purpose in the different ages of time, and among the different peoples to whom it has been revealed and communicated, and we, today, are in subjection to the general rule. The Lord has led us along as he once led Israel, and as he led the Nephites from the land of Jerusalem, and the ten tribes, and other peoples, who went to different places. He has led us along, and the first thing he did with us … was to send his gospel, having revealed it first to Joseph Smith, and he, being authorized by the Almighty, and having received his appointment through the holy priesthood that exists in the heavens, and with that appointment authority to confer it upon others, did confer it upon others, and they in turn upon others, and hence the gospel was sent to us in the various nations where we resided. It is our duty to assist the Lord through missionary work. I was ordained an Elder by the proper authorities, and I went forth to preach this Gospel. Other Elders went forth as I did to the civilized nations, preaching the same doctrine and holding out the same promises. Some of them were not very learned; some were not very profoundly educated. We send a singular class of people in our Elders. 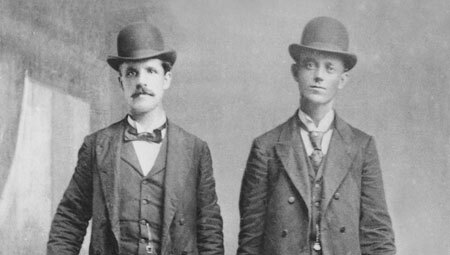 Sometimes a missionary is a merchant, sometimes a legislator, a blacksmith, an adobe maker, a plasterer, a farmer, or common laborer, as the case may be. But all under the same influence and spirit, all going forth as missionaries to preach the Gospel of light, of life and of salvation. They have received the treasures of eternal life, and they are enabled to communicate them to others; and they hold out the same promises. Our duty is to preach the Gospel to all men. … And we are doing this in spite of the opposition of men, and in the name of God we will do it. … And if they love the devil better than God, they can do so and sup trouble and sorrow and calamity and war and bloodshed. For nation will rise against nation, country against country; and thrones will be cast down; and empires will be scattered to the four winds, and the powers of the earth everywhere will be shaken; and the Lord will come forth by and by to judge the nations; and it behooves us to know what we are doing, and while we profess to be the saints of God not to be hypocrites, but be full of truth and full of integrity and magnify our calling and honor our God. Missionaries teach eternal truth with the power and authority of God. There is a very great difference between our mode of promulgating the gospel, and that pursued by the world. Many of these men … would be very unlikely instruments for preaching the gospel according to popular notions; but the grand difference between us and them is that we go forth in the name of Israel’s God, sustained by His power, wisdom and intelligence, to proclaim the principles of eternal truth communicated to us by Him; while they go forth to proclaim what they have learned in colleges. These young men are just like the rest of us: they have received the spirit of life, light and intelligence, the gift of the Holy Ghost, and they are the messengers of the Great Jehovah, whom He has selected, set apart, and ordained to go and proclaim His will to the nations of the earth. They go not in their own name or strength, but in the name, strength and power of Israel’s God. That is their position, and if they cleave to God and magnify their callings, adhere to the principles of truth, and shun temptation and corruption of every kind, the power of God will be with them, and God shall open their mouths, and enable them to confound the wisdom of the wise, and they will say things that will astonish themselves and those who listen to them. We need to prepare ourselves spiritually in order to be effective missionaries. I would say, however, to those going on missions that they should study the Bible, Book of Mormon, Book of Doctrine and Covenants, and all our works, that they may become acquainted with the principles of our faith. I would also say to other young men who are not now going on missions, but who will probably have to go at some time in the future, that these things are of more importance to them than they realize at the present time. We ought to be built up and fortified by the truth. We ought to become acquainted with the principles, doctrines, and ordinances pertaining to the Church and Kingdom of God. We must have faith and courage to fulfill our missionary duty. Whatever their feelings may be, [missionaries] go forth as the angels of mercy bearing the precious seeds of the gospel, and they shall be the means of bringing many from darkness to light, from error and superstition to life, light, truth, and intelligence, and finally, to exaltation in the celestial kingdom of our God. 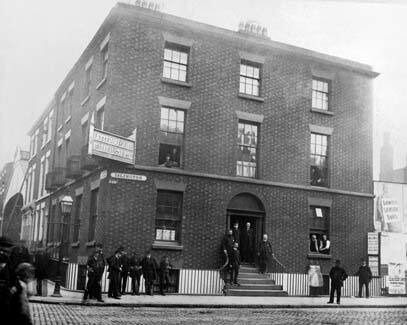 Office of the Millennial Starin Liverpool, approximately 1885. Early in his ministry, John Taylor served as a missionary in the British Isles, where he used his talents in writing and speaking to further the work of the Lord. How does missionary work help fulfill the Lord’s purposes? As one who has received the gospel, what missionary duties do you have in the Lord’s plan? Why does the Church send young and inexperienced people as full-time missionaries? Why is faith in the Lord fundamental to missionary work? How does our personal preparation and worthiness affect our ability to be effective instruments for the Lord? In addition to serving a full-time mission, what other opportunities do we have to share the gospel? What are some of the reasons members give for not participating in missionary work? What can you do to overcome your own obstacles in this area? How have you seen the Lord bless those who give their time, talents, energy, and means to share the gospel? The Gospel Kingdom, sel. G. Homer Durham (1943), 238. See B. H. Roberts, The Life of John Taylor (1963), 69–71. Deseret News: Semi-Weekly, 9 May 1876, 1; paragraphing altered. Deseret News: Semi-Weekly, 4 Oct. 1881, 1. Deseret News: Semi-Weekly, 9 May 1876, 1. Deseret News: Semi-Weekly, 18 Apr. 1882, 1; paragraphing altered. The Gospel Kingdom, 234–35; paragraphing altered. Deseret News: Semi-Weekly, 15 June 1867, 2. Deseret News (Weekly), 19 June 1867, 194. Deseret News: Semi-Weekly, 15 June 1867, 2. Note: At the time of this statement, the Pearl of Great Price had not yet been canonized; it became a standard work of the Church in 1880. Deseret News: Semi-Weekly, 15 Mar. 1881, 1. Deseret News: Semi-Weekly, 24 Sept. 1878, 1. Deseret News: Semi-Weekly, 15 June 1867, 2; paragraphing altered.